We can cater for all your steel shop fitting requirements. Our units are flexible, easy to alter and can be reused and relocated many times. There is an extensive range of components available in different sizes, widths and finishes. We also have our own in-house powder coating facilities.  This modular system is precision-engineered and results in a simple-to-assemble unit featuring fluted upright posts with punched side slots that will accept specifically manufactured span rails. It simply clicks together, requiring only a soft hammer. 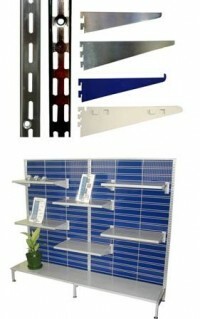 The addition of a slotted end frame will give a maximum multi purpose selling unit which is easily added to or altered. Our steel shop fittings are suitable for anywhere in the retail sector, house, garage or workplace.